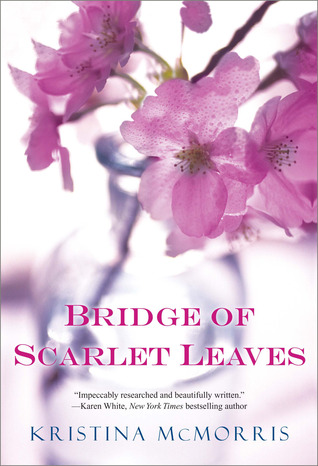 I recently finished reading my friend Kristina McMorris’s beautiful, page-turning second novel, Bridge of Scarlet Leaves. I told Kris I wanted to write a review to post on Goodreads and Amazon. The book is powerful and really left me thinking, so I thought I’d go a bit deeper here. It would’ve been easy for any author to lose sight of the importance of characters when dealing with a setting so monumental as World War II, and plot elements such as interracial relationships and the internment of Japanese-Americans during the war. These are topics that would’ve consumed the focus of many a fine writer. The temptation would be to use a broad brush, to put the readers’ wide-lens focus on the issues, and the result would often be to have wooden characters enacting formulaic plotting to demonstrate the horrors/injustices/tragedy of war and its repercussions. Kris has a deft touch when it comes to WWII, and the depth of her research and her compassion for the topic come through in her every description of the home front, war zones, and even intense combat action sequences. She knows her stuff, and it shows. But in Bridge her historical acumen serves as shading and nuance for what is a genuinely human story, played out by well-developed characters. At its core, Bridge is a love story. It’s the story of Maddie—a young Caucasian woman—and Lane—the son of immigrant Japanese-Americans—and what they are willing to sacrifice, not only for their love for one another, but for their love of their families, their country, and for honor. Kris not only provides a tight focus on her believable characters, she makes Lane’s and Maddie’s love for one another believable by giving each of them depth of experience—their own set of skills, achievement, strengths and weaknesses. All too often in stories we are asked to believe in a deep romantic attraction and its resulting bond without any reason given for us to do so. All too often we are only shown one side of a literary romance, with all the requisite longing and angst deriving just from the main character’s physical attraction or stated love of their counterpart. Often the love interest has few or no qualities we can imagine would warrant the main character’s interest or longing. When obstacles to romance occur, often they are based on flimsy misunderstandings, or one character’s sudden bout of shallowness or newly obtuse viewpoint. None of this occurs with Lane and Maddie. Each of them is capable. Each of them shows remarkable resilience, loyalty, and dedication—not only to one another, but to big picture issues, like family and community. We come to know and respect each of them, and therefore not only applaud their love but root for it. We can see for ourselves why they would love each other so, and why they would sacrifice as they each do throughout the tale. This is something I strive for in my own work. A lot of historical fantasy is painted with that same broad brush, so eager to show off the world-building or big picture elements of the protagonists’ war with some overwhelming evil. I have a big picture conflict, but I wanted a tighter focus on character. I came to realize my own story would hinge on the believability of my two primary protagonists’ love for one another. When you are building something as big as a trilogy, brick by brick, laying a story that spans decades and traverses empires, you’d better be sure you have a strong foundation. I know now my foundation is the bond between Ainsela and Thaedan. I’ve tried to make each of them capable and yet fallible in order to be believable, for their love to be believable. I’ll need readers to come to know and care about them as individuals in order to have them rooting for their love. Without the believability of their loyalty, dedication, and willingness to sacrifice, not only for their love for one another, but for family, nation, and honor, my story becomes just another broad-brush fantasy–just a sequence of related events. No matter how spectacular those events are, it’s the characters and their interrelationships that give them significance and make them memorable. I can only continue to strive and hope I prove worthy of the example set by Kristina McMorris in Bridge of Scarlet Leaves. Bravo, Kris! You are an inspiration. What about you? 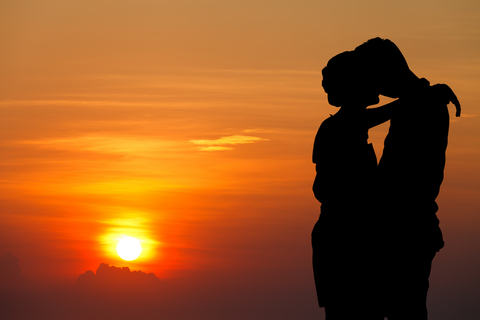 What character traits and elements do you need to make a romantic relationship believable? What makes you root for a romance? This entry was posted in Uncategorized and tagged Character-development, Review, Romance. Excellent review, Vaughn! The book sounds extremely interesting, and your dissection of the different plot points and character development leads me to believe your work is probably just as detail oriented and well-written. I’ve always thought that you have to understand how it works before you use it well, and your knowledge is indicative of some great writing! The blog is great, by the way! I don’t know how I missed it until now, but I’m glad to see you have one! I get to read Vaughn writing regularly now! Thanks, Lara! I agree: the better we understand what we like in the work of others, the more our own work improves. Thought provoking post. If I hadn’t already been lured in by the siren’s song of the title BRIDGE OF SCARLET LEAVES, this post would definitely do it. Isn’t that just a gorgeous title, Bernadette? When you get the book, check out the poem at the opening. I swear I was already moved before I read page one. I often a bit shocked by the ‘Three’s Company’ fare we are fed in the form of obstacles to romance–moreso in movies than books. Maybe I’m imagining it, but it seems the male is often portrayed as the newly obtuse one. I think we’re supposed to see sudden stubborness as honorable–a willingness to sacrifice the relationship for the sake of the counterpart. But if there’s no strength built in the relationship, what is he really sacrificing? Thanks, Bernadette, for your great note. A shared sense of humor is important for me to believe in a relationship, and development of a secret language known only to the involved parties. Those are signals to me of compatible values and world views. Welcome to the dark side, Vaughn! A great post to kick it off. Ah, thank goodness. This blog is now complete–I am connected to Tartitude. 😉 Seriously, I’ve got to figure out some stuff for my sidebar; first and foremost, links to my tribe. Thanks for being here for the first one, Jan, and for showing the way! I loved Kristina’s first novel, LETTERS HOME, and can’t wait to get my hands on her second one. She’s such a gifted writer and a lovely person, and I’m so excited for her success.